The colder it gets the less we see people putting in the work on the roads. Everyone is looking for some kind of catalyst to get off that couch and kickstart a new active lifestyle. But as you go about your day, there are those deceptive little whispers that begin to creep into your mind with words like, “I’m too tired” and “I’ll just hit snooze button one more time”. Well today, we’re shutting down those little voices and debunking the top excuses that stop you from running. "It's way to early in the morning"
We’re all a little grumpy those first few moments after we wake up. But studies have shown that waking up early could be a distinguishing factor in making certain adults happier than others. A key way to get yourself up is having something positive to do. A hobby like running, and all the benefits that come with it, could be the perfect carrot on the stick to get you out of bed. Try it. After a few minutes of warm up, you’ll already feel like you’re 4 cups of coffee deep and the memories of your bed will just be an afterthought. Isn’t it funny how we’ll all try the latest aerial yoga fitness craze or that Ab Buster 9000 you saw on TV but suggest something the human race has literally been doing for millennia and now all of a sudden, we’re not comfortable try new things? 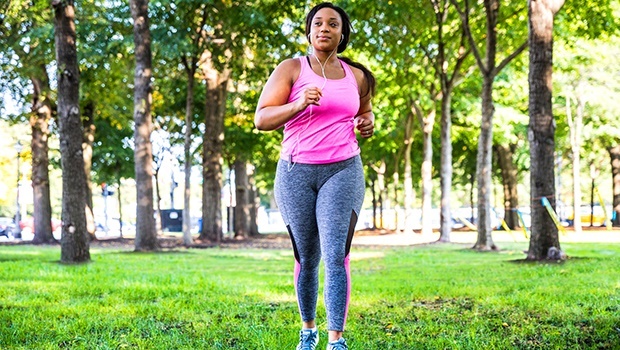 While some exercises may require fancy equipment, personal trainers or crazy supplements, running doesn’t ask much of you. Know how to tie your laces? Check. Know how to walk? Double check. Congratulations, you are a qualified runner! A bit of drizzle on race morning? Try that dry mac that doesn’t pair well with anything else in your closet. Chilly? maybe those new thermal tights could finally get some fresh air. For every forecast, there is an outfit. And now for every excuse, there is an answer. We get it. Work piles up, deadlines approach and the mental exhaustion begins to take a toll on you. This is not an excuse as running could in fact be the solution. Studies have shown how exercise releases neurotransmitters like serotonin, dopamine and natural endorphins that make you feel better. It’s tough in the beginning but after a while you’ll feel your energy levels increase. More energy equals more exercise, more exercise means a happier, more motivated you. The majority of women are unhappy with their bodies in some way or other. You are not alone. Best thing about exercise is that it’s proven to help boost self-esteem and feelings of self-worth. Watching your legs feel stronger and your kilometres grow longer will remind you how amazing your body is no matter what it’s shape or size. With so many demands placed on us, it’s no wonder that running slips down the list of priorities. But let's look at things a little more closely. Are we really that busy? Or are we just making excuses? When something really important comes up, we find a way to fit it in to our schedule, whether that new bar we want to go check out, or shopping for those shoes you’ve had your eye on. So start small, even if it’s fitting in a 30 min run around the block in the morning or afternoon, prioritise your health and you’ll never look back. At this moment, those whispers are frantically scrambling to stand in your way and you don’t have anything pushing you to get started.